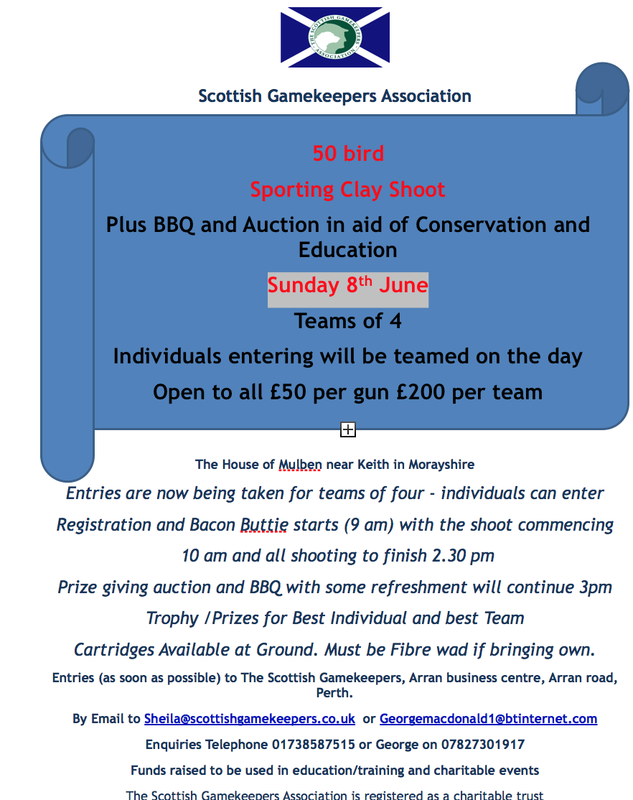 On Sunday 8th June, an SGA 50 bird sporting clay shoot plus barbecue and auction is to be held in aid of conservation and education. Entries are now being taken for teams of 4 but individuals entering will be teamed on the day. There will be prizes for best individuals and teams. To enter, contact the SGA office on 01738 587 515. See full details on the poster above.